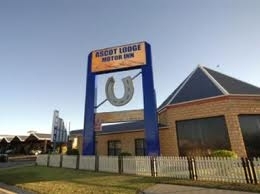 * BEST WESTERN Ascot Lodge Motor Inn is the newest motel accommodation and dining complex in Goondiwindi, Queensland. * 25 x 4 star (AAA Tourism rating) deluxe rooms and suites with quality furnishings and spectacular ensuites. 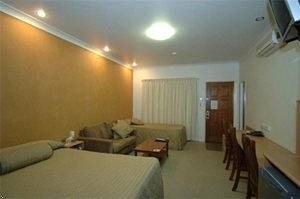 * Quiet location in close proximity to CBD and tourist attractions. * Undercover car parking directly in front of unit. Vehicles requiring high clearance for roof racks, etc. can be catered for (prior notice essential to ensure availability). * Off-road space available for trailers, boats, etc (not undercover - prior notice essential to ensure availability). 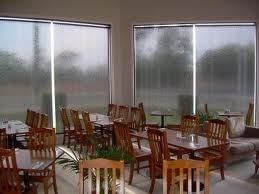 * Cascades licensed restaurant and bar offers excellent food at affordable prices. Enjoy the spectacular waterfall feature windows under the towering timber ceiling. Open for breakfast (daily) and dinner (Monday to Saturday nights - public holidays excluded). 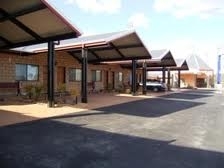 * Casual dining option in the courtyard adjacent to the restaurant, or room service also available. 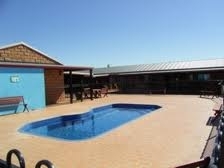 * Large pool and sundeck area. * Guest laundry with washing machine and clothes dryer. * Mini-bar in all rooms and suites. * Free Austar cable TV offering 8 channels. * Panasonic 32" LCD HD television offering digital free-to-air channels. * Panasonic inverter split-system, reverse-cycle airconditioning offering climate control. * Large work desk area with good lighting. * High speed, secure wireless Broadband internet access available. * Sofa lounge and coffee table. * Microwaves available in some rooms and suites. * Toasters available on request. 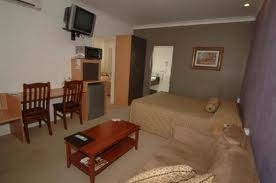 * Executive or honeymoon suite with spa bath. * 2 bedroom family suites with separate bedroom having its own split-system airconditioner and 32" LCD HD television (sleeps up to 5 people). * Interconnecting rooms can sleep up to 6 people. * Disabled Rooms with facilities for guests with disabilities which interconnect with adjoining room for carer if required.